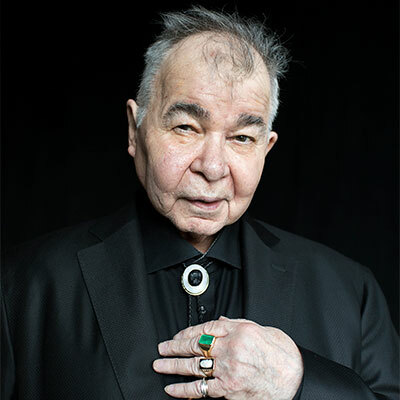 John Prine is nominated for three GRAMMY Awards including Best Americana Album for The Tree of Forgiveness and Best American Roots Song for "Summer's End". Prine's "Knockin On Your Screen Door" is also nominated for Best American Roots Song - earning Prine two nominations in the category. The remarkable achievements culminate a historic year for the recent Songwriters Hall of Fame and Rock and Roll Hall of Fame nominee following the release of The Tree of Forgiveness. Released on his own independent label, Oh Boy Records, the album is Prine's first album featuring new material in over 13 years and was produced by Grammy Award winning producer Dave Cobb. Upon its release, the album debuted at #5 on the Billboard 200 chart with over 54,000 equivalent albums sold in its first week - a career high chart position and sales week for the legendary singer, songwriter and performer. The album also debuted at #1 on Billboard's Americana/Folk Albums chart, #2 on Billboard's Country Albums chart and #2 on Billboard's Rock Albums chart. In continued celebration of the album, Prine will perform select shows throughout 2019, including newly confirmed stops at Atlanta's Symphony Hall, Brooklyn's King Theatre, Chicago's Ravinia, and Vancouver's Queen Elizabeth Theatre among many others. Additionally, on July 28, Prine will perform at Red Rock Amphitheatre with the Colorado Symphony. The landmark concert is Prine's first-ever orchestral performance and will feature arrangements by Grammy Award-winning producer Dave Cobb. Tickets for most of the newly confirmed shows go on sale Friday, December 14. Moreover, Prine's All The Best Fest - a destination concert vacation - will take place at the all-inclusive Breathless + Now Onyx Resorts in Punta Cana, Dominican Republic November 11-15, 2019. Complete details regarding the festival are available via www.allthebestfest.com. Of Prine's sold out show at Radio City Music Hall, Rolling Stone declares, "...a night of joy and love at one of the most biggest shows of the veteran singer-songwriter's career."